What does Page Turning Maker do for you? Usually you may save your data as image, Office and PDF formats, and get information via traditional document formats. Have you ever wanted to change these ways to experience in a more vivid pattern? What Page Turning Maker exactly does is to bring you more advanced reading experience and help you display you reports, work and so on in a dramatical and cool way. 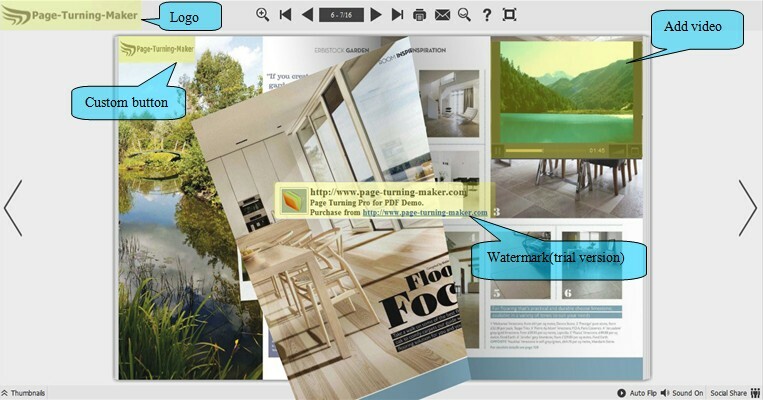 Page Turning Maker provides multiple amazing utility programs, aiming to create wonderful E-Book format with 3D dynamic page-turning effect and sound for your documents(e.g. PDF, Office, CHM, DjVu, ePub, image and so on). The produced stunning E-book will bring you unprecedented reading experience and make you feel like handling a real book. Moreover, in order to meet per need, you can generate your E-book in multiple formats, including *.html, *.zip, *.exe, *.app, even making Mobile Version and burning to CD. That means you can read your book in multiple devices like Windows PC, Mac, Iphone, Ipad, android phone, etc. More features like social share, simple operation and flexible options are included too. It is no doubt that you will enjoy the convenience and powerful functions that Page Turning Maker brings. The products of Page Turning Maker are divided into Windows version and Mac version to meet every requirement, you can select the right version according to your computer system. More details please refer to www.page-turning-maker.com .